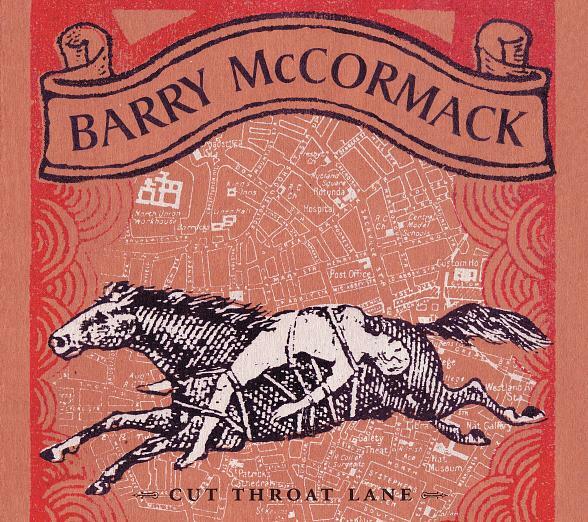 Barry McCormack is a modern day story teller. His tales are from the streets of Dublin. The words are stories from the darker side of these streets. Not the gloss and shine of the newly built areas but the reality of the grim world that people are living in. He does this through traditional instruments and with the help of many of his friends. The fact that a lot of these people have roots in Dublins punk and indie scene is telling for me but not given away in the music. Imagine, if you will, that you have walked into a bar on one of Dublins side streets. Ths bar would not have a bouncer on the door, there is very little plastic and neon lights are at a minimum. You may have an extra light in the toilet to prevent addicts from shooting up. It will stink but ehre will be something in this stench that keeps you there. In the corner of this strange but alluring abode there is a band playing. Each brought their own instruments and have no need for amplification. Banjos, accordian, acoustic guitar all appear. In the middle is a fresh faced young man quietly leading the way. You may miss him but he is the articulate one. His songs are the aformentioned stories. When he breaks into “When THe Windows Shake” you will sing along to a tuneful take of shootings in the city. You may then hear how “Life it burns a path, then it leaves a trace” during the Night Before The Horse Fair. That man is Barry McCormack. John Dagger is singer in Stay Clean Jolene. He also fronted the Great St Louis whose album In your Own Time is just waiting to be listened to. Have you not heard it yet? I played a couple of tracks off New Model Armys new lp last week, I’ve been listening to it and Barry McCormack on rotation for a lot of the week. I also hear NMA are playing in Dublin on December 6 so you’ve no excuse but to go. Paranoid Visions are doing an acoustic set on the night too. Crimes are new to me. They were on a compilation for the Fest 2012 which is an annual gathering of many good musical things in florida. NOFX end the show (bar pelican) with their tune to Ronnie + Mags. Wonder what it’s about?? 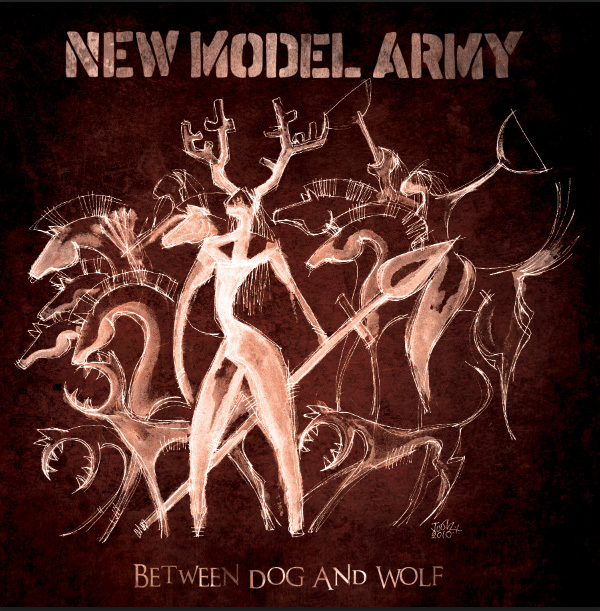 New Model Army played a huge part in my life. There I’ve said it. When Conflict had their only stupid Bastards sign to EMI t-shirt I was devastated. Here was my band, new Model Army, a band I had almost befriended. a band I had bought every record by, believed in and now they jumped ship to the other side. I was 18, the miners had lost their strike, our victories were in songs and little else. We were the independents fighting against the sharks of the major labels. NMA went with the sharks, appeared on Top Of The Pops and then Conflict had the t-shirt…..
through this life on a journey. What we do with our time and how we reach the end is the direction we take. In the 1980’s when a band signed to a major record label they decided to go on the motorway, me? I’ve always preferred the bypassed villages, the secondary roads are more interesting. I’ve seen New Model Army quite a few times live. I was a regular in the early days with arms flapping as the clog travellers who attended their gigs were the family that I was an outsider to. I have great memories of gigs in Liverpool, Bradford, London and Dublin that reached a crescendo when the band hit the stage. I interviewed them for my zine in 1984 and they have never been anything but nice. I questioned their wisdom of finding an employer for their music. I guess after this time I bear no grudges but for a while I questioned. It is no harm to question, Justin Sullivan has been doing so since he was speaking as Slade The Leveller and has always been nothing but emotional in his words and music. I can’t believe it is Thirty years since their first record. it is that midst of time we can’t prevent from moving. What we do with it is important though. I’ve written tons of reviews since my first attempt at getting someone to listen to a Crass record. i have spoken of the virtues of many many bands but New Model Army have always been up there for me. There’s no other way of saying this but I LOVE NEW MODEL ARMY. Their songs are laden down with emotion, sang with such feeling. I can never imagine them being in a studio and someone having to say “One more take, this time with feeling”. There is an intensity to everything they do and the latest record is no different. The opening track of Horsemen must have Justin exhausted every time he sings with such feeling.